The Australian cricketers and batsmen in particular are under huge pressure at the moment. With collapses of 10 for 86, 10 for 85 and 8 for 32 in their last three test innings, there’s no denying they have underperformed. Every player would be disappointed with their own results and ultimately they are responsible for their performances. However, should we really be blaming them or is it the Australian cricket system that needs to be scrutinised? We live in a time where it’s harder than ever to concentrate. In a world with constant distraction it’s hard for people to concentrate on one task for any period of time without being distracted (see if you can read this article until the end without being distracted). This constant distraction paired with the prominence of T20 cricket means batsman have become far less patient and able to concentrate for long periods. There are far less draws in Test cricket than in the past, with matches constantly moving at a rapid rate. A hunger to score and hit boundaries combined with flat wickets that don’t test the technique or temperament of a batsman mean modern batsman aren’t as good at absorbing periods of high-quality bowling as they used to be. While this fast paced, action packed cricket is great for spectators who want to be entertained, batsman often find it hard to adapt to difficult Test cricket conditions (seam, swing or spin). It’s been made clear by Steve Smith and the Australian coaching staff that the disappointing results aren’t through a lack of trying. From all reports, the players are working as hard as ever and are desperate to perform well. So what’s causing these regular collapses in the Australian team? With the Australian team’s recent poor performances, every pundit has their own opinion on the reason for the struggles. Many, far more qualified to make judgement on the Australian First-class system than I, are blaming a change in culture and the fiddling with a system that wasn’t broken. The Aussies failures are in contrast to the success that England has just achieved in the 1st Test in India. While the Australian team is clearly at rock bottom at the moment, and England are going well, statistics suggest that in recent history, the Australian system has produced better batters. Of the world’s top batsman since 1980 Australia has produced eight players who averaged over 50 in Test cricket (minimum 20 tests) while Joe Root (currently averages 53.55) is the only Englishman to average over 50 in Test cricket in this time. These numbers clearly indicate that the Australian system has produced many world class batsman. However, at the moment there seems to be a lack of batters demanding to be picked in a Test side that has lost its last 5 matches. Where there used to players averaging 50+ in Sheffield Shield cricket and still not being picked, now the next batsman in line all average in the low 40s. 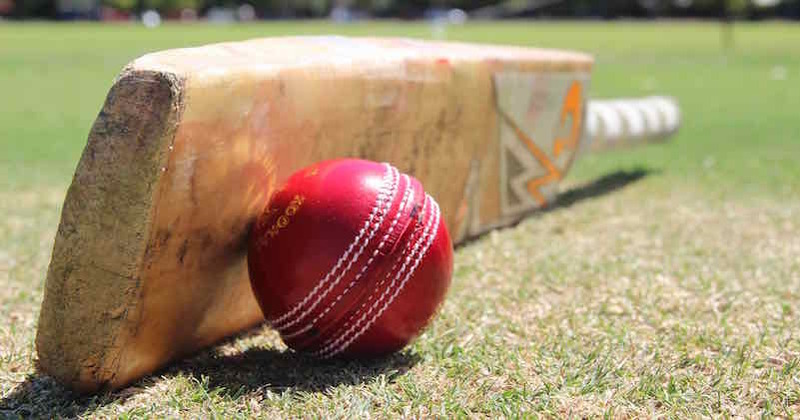 Former Tasmanian and Australian fast-bowler Brett Geeves is one former player who believes this is a result of changing the system. In my opinion, Australian professional cricketers and young players aspiring to be professional cricketers aren’t playing enough cricket. Leading into the first Test of this series against South Africa, the Australian team had played just one First-class match. Some might say that that’s enough preparation, however, something that has been overlooked is that the fixtures were day-night matches with a pink ball. This meant that the Aussie batsman entered the first Test of the series where they faced Steyn, Philander & Rabada with zero red ball match practice since the middle of August, when they played their last Test match against Sri Lanka in completely different conditions. While the best players in the world are expected to be able to adapt easily between formats, there’s no denying that changing from white ball to pink ball to red ball and the changing of mindsets and game plans that comes with changing formats, does have an impact on a player. Especially batsmen. Having played a reasonable level of cricket over a number of years in both Australia and England I believe there is one thing that is far better about the English system than the Australian…the amount of cricket that is played. Whether it’s First-class, 2nd XI or mid-week social matches, there are far more matches played in England than there are in Australia. In county cricket, there are sixteen county championship matches a season and sides often play one or two First-class matches against a university or touring side on top of this. In Australia, there are only ten First-class matches per state per season plus a final for the top 2 sides. During my time at Middlesex, where I predominantly played 2nd XI, we would play a one day match (40 overs a side) and a three-day match (90 overs a day) against another county almost every week of the summer. The batters and spinners would also play league cricket every weekend. In between this we might have a training session and a day or two off. Comparing the standard of competitions between countries is always hard but there’s no doubt (in my mind) that grade cricket in Australia is far superior to league cricket in UK. Last weekend I played a 1st grade match that featured a number of current and former First-class players. In the match Fremantle CC had Sam Whiteman (WA), Ashton Turner (WA), Jake Carder (WA), Tom Abell (Somerset), Chris Wood (Ex WA) & Jamie Heath (Ex NSW), while we (Melville CC) had Ryan Duffield (WA), Angus Robson (Leicestershire), Fraser Hay (Hampshire), Mark Turner (WA 2nd XI), Drew Porter (Ex WA), Luke Towers (Ex WA), & myself (Ex Middlesex). When assessing the careers of Turner (23 years old) and Robson (24 years old), two very good young batsman, the discrepancy in the matches played in the English system compared to Australia is glaring. Turner made his First-class debut in July 2013, 6 weeks before Robson made his First-class debut. Since then Turner has played 15 First-class matches while Robson has gone on to play 53. While Turner has been a permanent part of the WA white ball sides in this time, he has been unable to nail down a spot in the WA Sheffield Shield side given its strong and established batters. That being said, even if he had been in the team for every First-class match from the time he made his debut, he would have played 34 matches (including 2 shield finals).This is 19 less 4-day matches than Robson has played in the same period. That’s potentially 38 less First-class innings and 76 less days of high-quality cricket available to a young Australian batsman compared to a young English batsman. With the amount of cricket that is played in the UK, players do burn out and at times play at a lower intensity. While this is a downside of playing more cricket, the positive is that batsman are always batting. They learn about their games and how to problem solve and adapt to different conditions through actually playing. In Australia, with all the non-playing time in between matches, batsman have to learn their game as much in the nets or during centre-wicket practice where there is far less pressure, as in a match. As a batsman, the best way to improve is to play and be challenged by and learn from different experiences and conditions. During the second Test in Hobart, when asked whether Joe Burns should play for Queensland in the upcoming Sheffield Shield match in between Tests, Chris Rogers replied “Definitely. There’s no substitute for time in the middle.” While Burns will be a bit fatigued, more mentally than physically from the pressures of a Test match, he’s not going to get back in form by hitting throw downs or facing a bowling machine. He needs to bat in a match and get his game and confidence back in order. During my time in the county system, I would usually bat (in a match) 4 times a week. 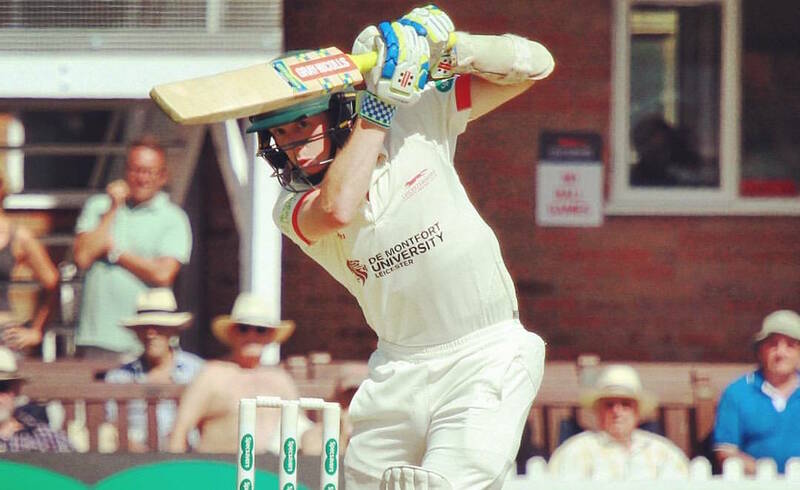 While most 1st XI players rarely play league cricket, all young batters who were playing in the second team would play for their club side every week. It was another chance to have a hit and learn your game. There is no coincidence that this was a time in my career when I played at my best…..When you’re in form you can have an epic purple patch that lasts for weeks. It’s like one long innings where you can literally bat for days and days. On the flip side, when you’re out of form it’s mentally difficult to keep getting up for the next match. That being said, I never had to wait more than a few days for another hit and my next opportunity to turn my form around. In contrast, in the Australian system it can be weeks or even a month between innings. Sometimes if you miss out in your only innings for 3 weekends it could be well over a month until you get another chance to have a hit and spend time in the middle. Even if you’re coming off runs in your last match it’s hard to ever feel in form when you haven’t batted in a match in weeks. On top of this, the current Australian second XI competition, the Futures League, only has six four-day matches for each state this season. While there are other issues with Australia’s First-class feeder competition which are well summarised by Geeves, this simply isn’t enough cricket. In a summer that has 26 weeks from the start of October to the end of March, young wannabe First-class players are only playing for 6 weeks during this time. What are they doing for the other 108 days of the summer when they aren’t playing? This competition, along with grade cricket is the breeding ground for First-class cricketers which in turn produces the Australian players. How are players expected to improve if they aren’t playing? I wonder what the young WA batters like Josh Inglis, Will Bosisto & Jake Carder are doing this week? I’m sure that they will be training hard; hitting lots of balls and doing their fitness work but there’s no doubt that they would learn more and be better players by playing against fringe players from other states every week. Justin Langer and the WACA coaching staff always encourage/ make the WACA players play grade cricket whenever possible. For this they should be commended as this is not something that is always enforced by state coaches. Langer has often mentioned the high regard he holds for grade cricket. However, I cannot understand why the state’s best young batterss, who should be playing as much as possible, are forced to miss grade matches to fly to a 2nd XI match on a Saturday….two days before the match begins on a Monday (bowlers are different and should fly two days before they play). These young batters are missing vital opportunities to bat, be put under pressure and learn their games. It could be three weeks until they get their next hit in grade cricket. I understand the logistics are more complicated in Australia than in the UK. Instead of driving a few hours up the M1 or M4 to play another county, Australian professional teams have to fly interstate which not only takes more time and energy but also costs more money. However, I think it’s time this whole competition was seriously looked at. I think regular 2nd XI cricket would be an investment into the future of Australian cricket. After all, if Australia isn’t performing well in world cricket then there will be less punters going to watch and there will also be less young boys and girls wanting to play the game. Batting is a game that’s played between the ears. While a sound technique and constant maintenance is necessary, it’s a player’s mindset and temperament that determines whether or not they are going to cut it at the highest level. No matter what lengths a coach goes to, no practice session can ever replicate the pressures of a match. It is clear to see in the current Australian team that the batsman are struggling due to the lack of cricket as much as their own technical or mental deficiencies. It seems that Cricket Australia has realised that the batsman need time in the middle, not the nets as they have made them play in the Sheffield Shield match between tests. They (Cricket Australia), the Australian Cricketers Association and the Australian players need to be commended for their efforts to improve Australian cricket by giving back to grassroots and grade cricket. But if they are serious about becoming the best in the world again then they need to get serious about other aspects of the system. They need to create a system where players can play as often as possible and be put under pressure in different conditions and circumstances. Young batters shouldn’t be training for a couple hours then having the rest of the day away from cricket week after week. They should be playing tough, competitive matches where they are challenged technically and mentally as often as possible. To get better and handle tough situations on the international stage, batters need to bat, at all levels. So it’s time for the administrators to give them that opportunity. Spot on Tom! Great article! How about Cricket Australia asking the curators to prepare some decks at state level which are green seaming decks? We look uncomfortable at best on seaming pitches. It looks as though our players are playing the ball far too early as we are used to playing on roads. Perhaps with some seaming pitches at feeder and state level it might help players to play the ball a little later and therefore account for some of the deviation. When you look at the English batsmen they tend to do this really well. Replacing the Kookaburra with the Tiflex ball in WA will have a positive effect, a lot of the current problems stem from poor footwork. 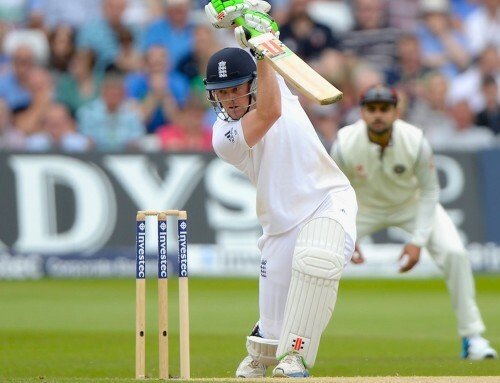 A good article which nails Englands recent success – Root decent footwork played recreational cricket against the Tiflex Oxbridge Windsor, watch his head move towards the ball, head always over the ball, doesn’t rely on a big bat either.